Patients with advanced renal cell carcinoma (RCC) with bone metastases had reductions in bone-turnover markers (BTMs) when treated with radium-223 dichloride (Xofigo) and a VEGF inhibitor, although the incidence of symptomatic skeletal events (SSEs) remained high, according to findings of a small exploratory study presented at the 2017 ESMO Congress. The treatment had an uneven effect on various BTMs, as a majority of evaluable patients had declines of ≥50% in N-terminal propeptide of procollagen type 1 (PINP) and osteocalcin (OC), and the decline in PINP was associated with objective response. Response or stable disease did not correlate with ≥50% declines in other BTMs. SSEs occurred in 30% of patients, but the treatment did not lead to excess hematologic toxicity. 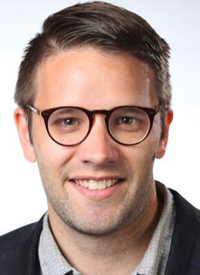 “Radium-223, in combination with VEGF-targeted therapy, is safe and did not lead to an excess of hematologic toxicities,” Dominick Bosse, MD, a genitourinary oncology fellow at Dana-Farber Cancer Institute, and colleagues reported in a poster presentation. “Overall survival was considerably shorter than historically reported in first- and second-line trials, highlighting the poor outcomes of advanced renal cell carcinoma patients with bone metastases. About 30% of patients with advanced RCC have bone metastases at diagnosis, which increase with the number of lines of therapy and confer a poor prognosis, including high rates of SSEs. New treatment options are needed to reduce the frequency of SSEs and improve quality of life, the investigators noted. Studies of patients with prostate cancer have demonstrated improved survival and time to first SSE in association with treatment with radium-223. Additionally, results of preclinical studies suggested that radium-223 targets both osteoblastic and osteolytic bone metastases. VEGF-targeted therapy is standard for advanced RCC, and investigators explored the safety and potential benefits of adding bone-targeted radium-223 in an exploratory study involving 30 patients with advanced RCC and bone metastases. Eligible patients had advanced RCC and at least 1 bone metastasis. Any histologic subtype and any number of prior lines of therapy were allowed. Investigators enrolled 2 cohorts of patients. Those with no prior treatment for RCC received pazopanib (Votrient) and radium-223, whereas patients with previously treated RCC received sorafenib (Nexavar) and radium-223. The primary endpoint was decline in serum levels of BTMs: PINP, osteocalcin (OC), bone-specific alkaline phosphatase (BALP), C-terminal cross-linked telopeptide of type I collagen (CTX), N-terminal propeptide of procollagen type I (NTX), and alkaline phosphatase. Secondary endpoints were safety, SSE rate, objective response by RECIST and by MD Anderson Bone Response Criteria, overall survival, and progression-free survival (PFS). All of the measured bone-turnover markers declined significantly from baseline at assessments after cycle 2 and cycle 4 of treatment. Declines averaged about 20% for CTX, 30% to 40% for BALP and PINP, 40% to 50% for NTX, and 50% to 60% for OC. Patients who had at least a 50% decline in PINP were more likely to achieve stable disease or objective response (15 of 18, 83.3%) than were patients who had progressive disease (2 of 5, 40%). The difference was associated with an odds ratio of 7.5 (90% CI, 1.21-46.6, P = .089). The association between response and ≥50% decline in BTM did not hold up for the other markers (OC, 11 of 18, 61.1% versus 1 of 5, 20%; CTX, 38.9% vs 40%; BALP, 11.8% vs 20%; NTX, 27.8% vs 20%; alkaline phosphatase 5.9% vs 0%). Two of 13 evaluable patients treated with pazopanib had partial responses (PRs), and 9 others had stable disease (SD). By MD Anderson Bone Criteria, 6 of 12 evaluable patients had PRs and 5 had SD. Among 15 patients treated with sorafenib, 11 were evaluable for clinical response and 10 for bone response. The results showed that 2 patients achieved PR and 5 others had SD. Bone response consisted of PR in 3 patients and SD in 6. The median time to SSE in the pazopanib arm was 5.8 months and was not yet reached in the sorafenib group. Median duration of follow-up was 6.5 months in the pazopanib cohort and 12.8 months in the sorafenib cohort. The pazopanib-treated patients had a median OS of 8.6 months, whereas the sorafenib cohort had a median OS of 7.4 months. Bosse and colleagues noted that the survival was lower than historical values 30 months in trials of first-line therapy and 20 months in second-line trials, emphasizing the poor outcomes associated with advanced RCC and bone metastases.